James Kauffman’s suicide note is an apparent “deathbed statement” and is pertinent to the case against his former co-defendants, a Superior Court judge has ruled. The six-page letter that includes details of events leading up to the killing of April Kauffman and its aftermath must be produced — without redaction — as part of discovery in the case, Superior Court Judge Bernard DeLury wrote in a 10-page ruling obtained by BreakingAC. The order protects the letter from being shared beyond the defense attorneys and prosecutor involved in the case. The defendants may read the letter in the presence of their counsel, but may not keep a copy, DeLury ruled. James Kauffman was charged with his wife’s May 10, 2012, killing and as the leader of an Oxycontin ring when he was found dead of an apparent suicide inside his Hudson County Jail cell Jan. 29. 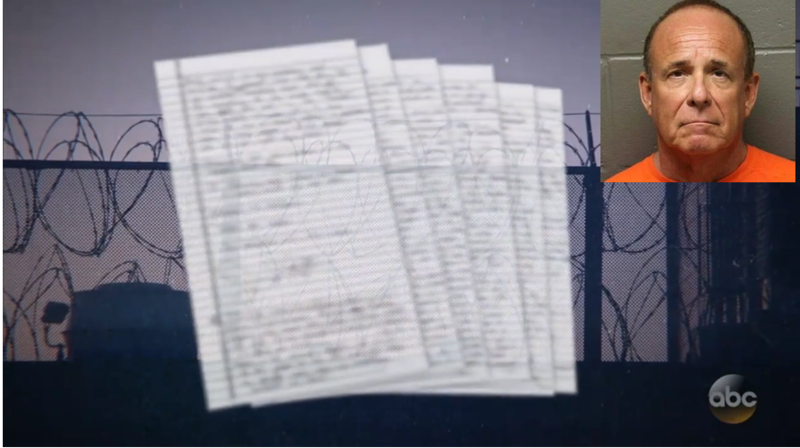 A six-page handwritten letter found in his cell apparently details how the alleged enterprise grew. The ruling is the result of a motion on behalf of Ferdinand Augello, the only living person charged in the death of the beloved veterans advocate and local radio host. Augello was also indicted with six others in a drug ring that allegedly profited from sale of Oxycontin pills obtained through prescriptions by the doctor. The note has long been a thing of mystery, after the disgraced doctor was found hanged in his cell. The six-page handwritten letter contains about 1,600 words, and includes a note attached, DeLury wrote. While the letter is not addressed to anyone in particular, the attached note says, “These 6 yellow pages are for my attorney and my wife. Thank you in advance for your help. Sincerely, JMK MD,” the judge wrote. Hudson County turned down media requests for the note, citing attorney-client privilege and marital privilege, since it was addressed to Kauffman’s attorney and wife, Carole Weintraub. But the letter also was denied to them several times, according attorney Lou Barbone, who said he was told the investigation is ongoing. That’s the same thing the Atlantic County Prosecutor’s Office was told when they received a copy of the note, Chief Assistant Prosecutor Seth Levy told the judge during a hearing June 7. While the news program did not show the entire note, they did provide excerpts, and had experts talk about the letter. He then talks about how it was April Kauffman who introduced him to the Pagans. Barbone said he found it “despicable” that the national news program was able to obtain a copy but that he and his client — to whom it was meant — continued to be denied. Atlantic County Prosecutor Damon Tyner declined to answer questions from BreakingAC asking if he was concerned about the letter being leaked, especially since it was being considered as possible evidence in the homicide and drug ring cases.